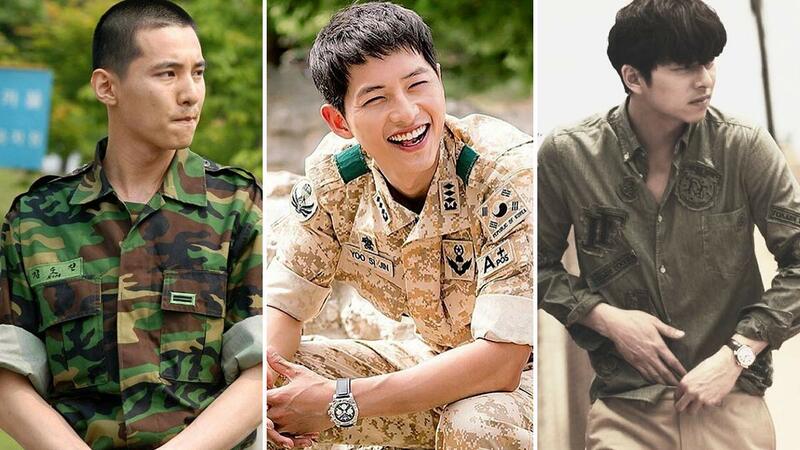 Song Joong Ki was not the first choice for the role of Captain Yoo Shi Jin. Wait, WHAT?! You know how almost all of us have "the one that got away?" Well, celebrities have them, too. It's not necessarily romantic entanglements—sometimes, it's an epic role that they missed out on. This has happens with a lot of K-drama stars. Some of them decline a role because they're busy with other priorities: Their families, the mandatory military service in Korea, another drama or film, and maybe some much-needed me-time. Sometimes, it's simply not a project or an image they want to pursue, or they were overshadowed by the celeb who eventually got the part. Can you imagine if these actors or actresses played the K-drama characters you know so well? 1. Bae Suzy almost got the lead role in Cheese in the Trap (2016) instead of Kim Go Eun. Suzy was offered the role of Hong Seol at first, but she declined. Her drama with Kim Woo Bin, Uncontrollably Fond, aired later that year. Go Eun, on the other hand, also declined initially due to a schedule conflict. However, the director repeatedly asked her until she accepted her first television drama role. The production team even adjusted the filming schedule for the actress. 2. Jang Geun Suk almost got the role of Goo Jun Pyo instead of Lee Min Ho. In one interview on a Korean show called Champagne, Geun Suk revealed that he was torn between Boys Over Flowers (2009) and Beethoven Virus (2008). He picked the latter eventually since it would star several senior actors whom he can learn from. Geun Suk's role in the drama about classical musicians was still very memorable in Korea. Min Ho, on the other hand, became an international sensation after BOF. 3. Chun Jung Myung almost got the lead role in 1st Shop of Coffee Prince (2007) instead of Gong Yoo. Can you imagine if Gong Yoo wasn't in that K-drama? We can't, either. The actor Jung Myung was initially considered for the lead role. As fate would have it, he was filming a movie—Hansel and Gretel (2007)—during the drama's production. And Jung Myung admitted how sorry he felt for missing out on the epic role. #REGRETS! 4, 5, and 6. Jun Ji Hyun and Shin Se Kyung were almost the gumiho in My Girlfriend is a Nine-Tailed Fox (2010) instead of Shin Min Ah. Sandara Park was also in the running. Ji Hyun was the producer's first choice, and Se Kyung was also a top pick because of her performance in the sitcom, High Kick Through the Roof (2009). The 2NE1 member Dara was also in the running for the role. However, when the producers met with Min Ah, she won their hearts and couldn't have owned the role better than she did. 7, 8, 9, and 10. Won Bin, Jo In Sung, Kim Woo Bin, and Gong Yoo were all considered for the role of Captain Yoo Shi Jin in Descendants of the Sun.